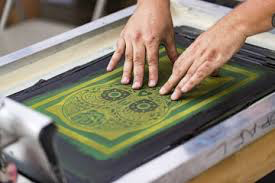 With this process, we love bringing your ideas to life; for screenprinting, we use a "screen" to put each layer of color/ink to the printable item that is in your design. Each screen is required to apply a different color onto the product until all the colors have been combined to create the final design. 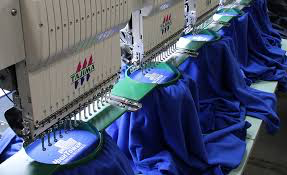 Embroidery begins with digitization of your design/logo; Once the digitizing meets your approval, the embroidery gets put on your desired product using our software and embroidery machine. We have a rainbow of threads to ensure you are happy with your color and design. 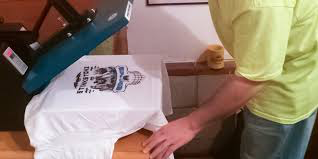 Using the Heat Press is an alternative way of quick printing; the set up is much easier in comparison to screenprinting or embroidery, which is great for smaller orders and easier to be more customizable. With this process, your design is cut out of vinyl and "Heat Pressed" to the garment. Sports teams usally have a big request for this as we are able to add numbers and names for each individual jersey or uniform. With this process, there is no minimum order for this service, therefore people can usually order just one piece at a time if they desire. 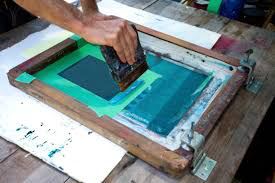 Screen printing is a great way for a long lasting print result. 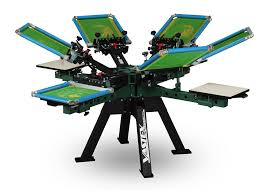 The screen setup is the same for 12 shirts or 100, so we require at least a 12 piece minimum on all Screen printing orders.